Could it be the production version of the City Adventure concept? THE weird Honda City Adventure concept that was shown last year might go under the name ‘X-ADV’ when it reaches production. Although the combination of step-thru styling, twist-and-go behaviour thanks to a DCT gearbox and faux-off-road styling might not seem like a natural one, the City Adventure is actually much less far-fetched than it first appears. Based on the running gear of the NC750, there’s little to stand between it and showrooms. And Honda has already shown it’s prepared to put its money behind weird concepts – just check out the Vultus as evidence for that. What’s going on with all the variations on a theme? Well it might be that Honda is concerned that the original ADV trademark will be denied. After all, it’s a term that’s fairly widely used to cover adventure bikes as a whole, and there might be grounds for it to be turned down. Adding an X (think ‘cross-adventure’ rather than ‘x-adv’) makes it stand out enough to not step on anyone else’s toes. 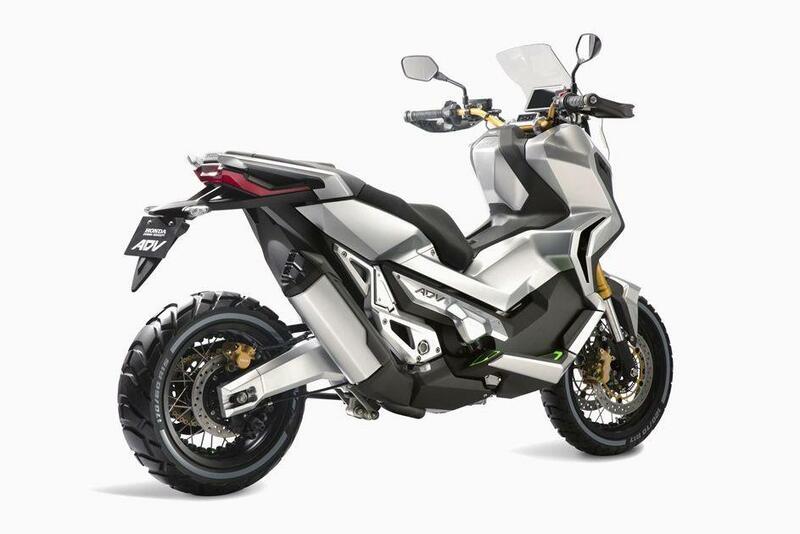 Alternatively, there’s a possibility that the X-ADV is another variation on the theme, although it might be jumping the gun to start making multiple versions of the big-scooter-adventure-crossover-thing before really knowing if there’s a significant market for it in the first place.